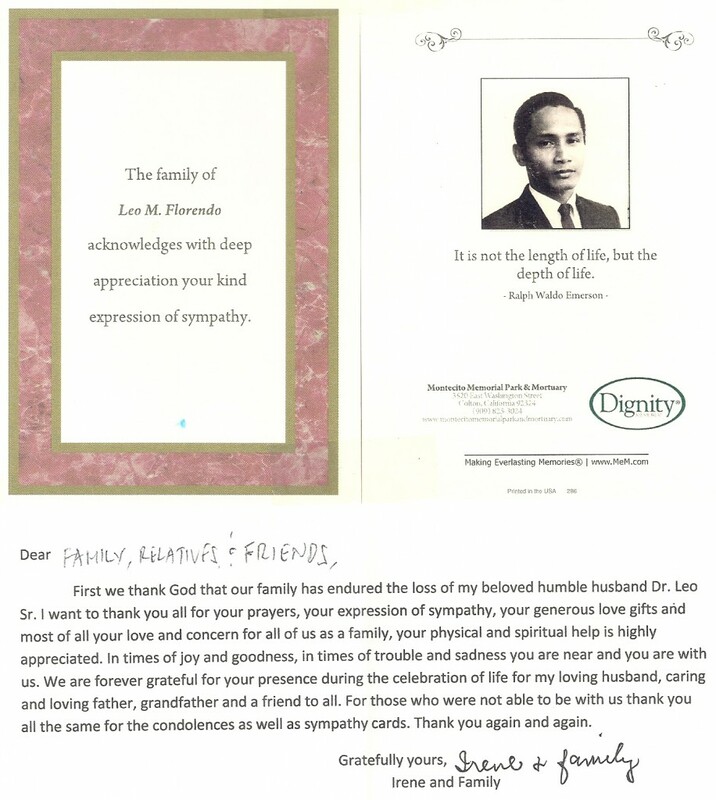 First we thank God that our family has endured the loss of my beloved humble husband Dr. Leo Sr. I want to thank you all for your prayers, your expression of sympathy, your generous love gifts and most of all your love and concern for all of us as a family, your physical and spiritual help is highly appreciated. In times of joy and goodness, in times of trouble and sadness you are near and you are with us. We are forever grateful for your presence during the celebration of life for my loving husband, caring and loving father, grandfather and friend to all. For those who were not able to be with us thank you all the same for the condolences as well as sympathy cards. Thank you again and again. 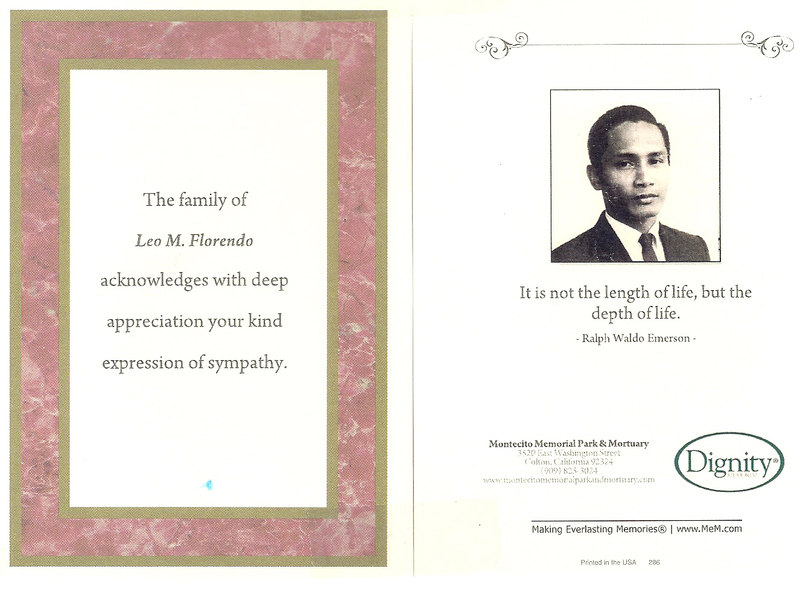 This entry was posted in Obituaries and tagged Florendos, thank you on January 23, 2014 by Jeanette.